Classes begin the week of April 12th and run for 6 weeks. Classes are open to 1st through 5th grade students. We will have our next PTA meeting on Thursday April 7th at 6:30pm. We are having a volunteer appreciation spaghetti dinner and honoring staff and teachers. If you volunteered at any event, in the classroom, driven on a field trip or participated with your student in fundraising, volunteered as a room rep, you are invited! Kids are welcome too :) Please RSVP here so we can plan to have enough food. We will also have our PTA Elections for the next school year on April 7th at our PTA meeting. We are always looking for new voices in our PTA. Many of the current PTA board members have older students so we need those with younger students to join. People have already volunteered for the following jobs: secretary, treasurer, financial secretary, auditor, newsletter, room rep coordinator, membership, Construction committee coordinator, hospitality, LEAP coordinator, Reflections & Talent Show chair, Science Night Chair. Some of the possible positions we'd like to fill: President, Vice President, Someone Special Dance Coordinator, Teacher Appreciation Week Coordinator, Week of Code Coordinator, End of year picnic coordinator, Volunteer coordinator, Fundraising chair, Social media chair, Parliamentarian. Please email the PTA if you would like to take one of these jobs. You will have a team to support you so don't worry if you haven't been in the PTA before. buriburipta@gmail.com Thanks! Mark your calendars for our awesome Talent Show and Auction on Friday April 22 from 6:30-8:30pm The auction will be open before school for bidding. PTA will provide coffee and treats in the MUR at 8:15-8:45 so you can preview or bid on items. All of the items for auction were donated so 100% of the money you spend will go directly to the school. Just a few of the amazing items for bid are: Disneyland parkhopper tickets, dinners at local restaurants, Police and Fire department tours, gift baskets and more! 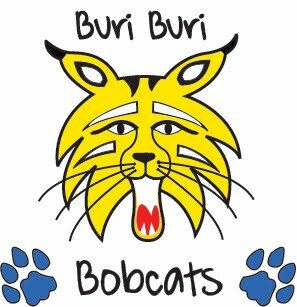 Registration for the 4th Annual "Buri Buri's Got Talent" Talent Show is officially open! The Talent Show will be held at Buri Buri Elementary on Friday, April 22nd from 6:30-8:30pm. Permission slips were sent home this week and are due by Tuesday, March 22nd. If you misplaced it, you can print it here: PRINTABLE PERMISSION SLIP. Auditions will be held on Wednesday, April 6th. Audition times will be communicated by Thursday, March 24th. The Walk-a-Thon was a great success. We raised enough to bring Playworks to our school and we are so excited! Our top fundraising class was Mrs. Cha's class! The class wins $100. We're also awarding bonus popcorn parties for Ms. Light and Ms. Arruda's classes for being the #2 and #3 top fundraisers! Top fundraising participation in each grade wins a popcorn party! Thank you for your generous donations!